Even though I’ve had a few shots published on web sites or magazines a one of this size was my first. 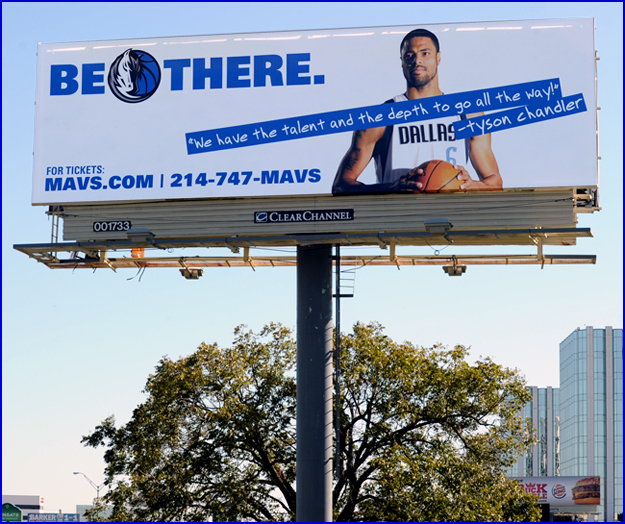 The Dallas Mavericks were running an ad campaign and published one of my shots from the 2010 media day on a billboard! There are a few locations for this particular one but this billboard is at I-35 Stemmons Frwy and Regal Row. It’s pretty cool to be able to drive by and see your work on a huge sign at the side of a highway.